Killed in two remote controlled bomb attacks at Narrow Water, near Warrenpoint, County Down. The first bomb was left in parked lorry and detonated when British Army (BA) lorry passed. The second bomb was left in a nearby Gate Lodge and detonated when British Army (BA) reinforcements arrived at the scene of the first explosion. The Warrenpoint ambush or Narrow Water ambush (also called the Warrenpoint massacre or Narrow Water massacre)was a guerrilla attack[ by the Provisional Irish Republican Army (IRA) on 27 August 1979. 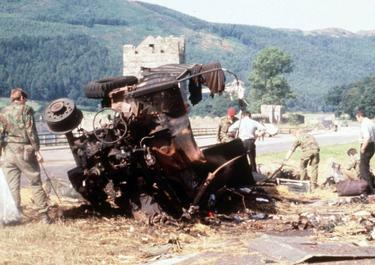 The IRA’s South Armagh Brigade ambushed the British Army with two large roadside bombs at Narrow Water Castle (near Warrenpoint) in Northern Ireland. The first bomb targeted a British Army convoy and the second targeted the reinforcements sent to deal with the incident. IRA volunteers hidden in nearby woodland also allegedly fired on the troops. The castle is on the banks of the Newry River, which marks the border between Northern Ireland and the Republic of Ireland. 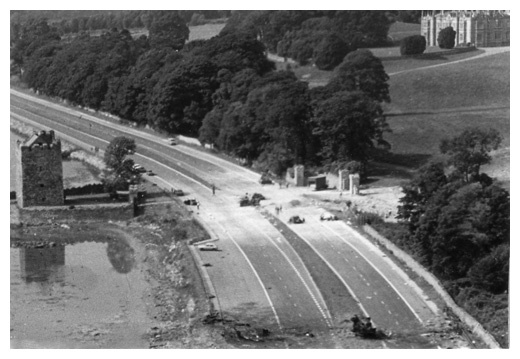 At 16:40, a British Army convoy consisting of one Land Rover and two four-ton lorries was driving past Narrow Water Castle on the A2 road. As it passed, a 500-pound (227 kg) fertiliser bomb, hidden in a lorry loaded with strawbales and parked near the castle, was detonated by remote control. The explosion caught the last lorry in the convoy, hurling it on its side and instantly killing six members of 2nd Battalion, The Parachute Regiment, whose bodies were scattered across the road. There were only two survivors amongst the soldiers travelling in the lorry; they both received serious injuries. Anthony Wood (19), the lorry’s driver, was one of those killed. All that remained of Wood’s body was his pelvis, which had been welded to the seat by the fierce heat of the blast. Immediately after the blast, the soldiers said they were targeted by sniper fire, coming from woods on the other side of the border. The soldiers began firing back across the water. An uninvolved civilian, Michael Hudson (an Englishman who was a coachman at Buckingham Palace), was killed by the soldiers’ gunfire and his cousin Barry Hudson wounded. They had been birdwatching on an island opposite the castle. However, according to Royal Ulster Constabulary (RUC) researchers, the soldiers may have mistaken the sound of ammunition cooking off for enemy gunfire. Two IRA members arrested by the Gardaí and suspected of being behind the ambush, Brendan Burns and Joe Brennan, had traces of gunsmoke residue on their hands and the motorbike they were riding on. On hearing the first explosion a Royal Marine unit alerted the British Army and reinforcements from other units of the Parachute Regiment were dispatched to the scene by road. A rapid reaction unit, consisting of medical staff and senior commander Lieutenant-Colonel David Blair (the commanding officer of the Queen’s Own Highlanders), together with his signaller Lance Corporal Victor MacLeod, were sent by Gazelle helicopter; another helicopter, a Wessex, landed to pick up the wounded. Colonel Blair assumed command once at the site. The second explosion killed twelve soldiers: ten from the Parachute Regiment and the two from the Queen’s Own Highlanders. Mike Jackson, then a major in the Parachute Regiment, was at the scene soon after the second explosion and later described seeing body parts scattered over the road, in the water and hanging from the trees. 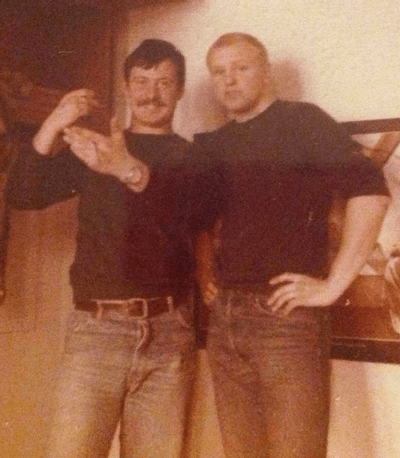 He was asked to identify the face of his friend, Major Peter Fursman, still recognisable after it had been completely ripped from his head by the explosion and recovered from the water by divers from the Royal Engineers. Only one of Colonel Blair’s epaulettes remained to identify him as his body had been vaporised in the blast. The epaulette was taken from the scene by Brigadier David Thorne to a security briefing with Prime Minister Margaret Thatcher to “illustrate the human factor” of the attack. The Warrenpoint ambush was a propaganda victory for the IRA. It was the deadliest attack on the British Army during the Troubles and the Parachute Regiment’s biggest loss since World War II. The 2nd battalion of the British Paratrooper regiment sustained sixteen casualties. The first battalion of the British Paratrooper regiment was responsible for Bloody Sunday on the 30, January 1972 where 14 unarmed protesters were shot dead. The IRA made clear it was targeting British paratroopers because of Bloody Sunday. General Sir James Glover, Commander of British forces in Northern Ireland, said it was “arguably the most successful and certainly one of the best planned IRA attacks of the whole campaign”. Immediately after the Mountbatten and Warrenpoint attacks, the Ulster Volunteer Force (UVF) retaliated by shooting dead a Catholic man, John Patrick Hardy (43), at his home in Belfast’s New Lodge estate. Hardy was targeted in the mistaken belief that he was an IRA member. According to Toby Harnden, the attack “drove a wedge” between the Army and the RUC. Lieutenant-General Sir Timothy Creasey, General Officer Commanding Northern Ireland, suggested to Margaret Thatcher that internment should be brought back and that liaison with the Gardaí should be left in the hands of the military. Sir Kenneth Newman, the RUC Chief Constable, claimed instead that the British Army practice, already in place since 1975, of supplying their garrisons in South County Armagh by helicopter, gave too much freedom of movement to the IRA. One tangible security outcome was the appointment of Sir Maurice Oldfield to a new position of Co-ordinator of Security Intelligence in Northern Ireland. His role was to co-ordinate intelligence between the military, MI5 and the RUC. The other was the expansion of the RUC by 1,000 members. Tim Pat Coogan asserts that ultimately, the death of these 18 soldiers hastened the move to Ulsterisation. IRA member Brendan Burns was killed in 1988 when a bomb he was transporting exploded prematurely. IRA member Joe Brennan was jailed in 1982 for carrying out an armed bank raid to raise funds for the organisation. He left the IRA in 1986 and went on to become a successful property developer and novelist.